The National Association of Intercollegiate Athletics (NAIA) recently launched a new Web site for the new NAIA Eligibility Center. To access the site visit www.PlayNAIA.org. The NAIA Eligibility Center is responsible for determining the eligibility of first-time NAIA student-athletes and will begin taking registrations this September for any student interested in playing NAIA sports for the first-time in 2011-12 or after. "NAIA colleges and universities award $450 million in financial aid to 60,000 student-athletes every year," said John Leavens, NAIA senior vice president for membership services. "Our institutions offer great opportunities to students interested in getting a college education with that small-college personal touch, and a chance to continue their athletic careers with a shot at one of our 23 national championships. We're excited to be able to get the word out to our nation's high school athletes about the opportunities that exist to play NAIA." If you follow college basketball, you know that coaches come and coaches go. Just like former University of Christian Brothers head coach,Scott Groninger, is now at West Georgia. If you are curious about who is going where, click here. 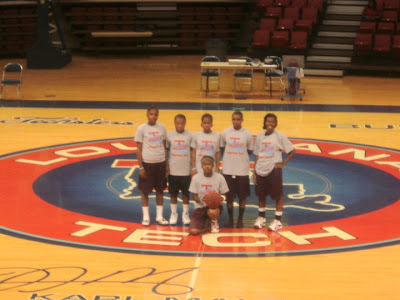 Last week, Team Idlewild Fury traveled to Louisiana Tech University in Ruston, LA to participate in the team camp. Traveling with only 6 players, Rachel Clark, Jasmine Pittman, Shartingra Jones, Lillie Pittman, Kaitlyn McCoy, and Khadijah Muhammad, Team Idlewild went 4-1 in competition. Louisiana Tech is coached by Teresa Weatherspoon. Coach Weatherspoon is a Women's Basketball Hall of Fame and the Louisiana Sports Hall of Fame member. 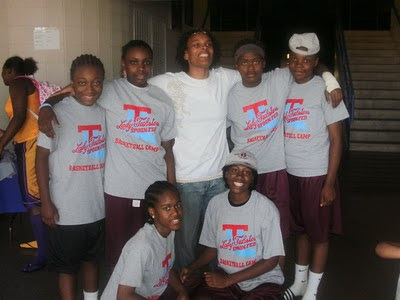 She is a former WNBA player, college Kodak All-American, NCAA champion and Olympic gold medalist. If you are participating in any of the events listed below, an ESPN Hoopgurlz representative will be around looking to highlight players. July 5-8: USA Invitational @ Penn State -- University Park, Pa.
July 6-9: End of the Trail -- Oregon City, Ore.
July 6-8: Summer Derby Classic -- Louisville, Ky.
July 9-11: Run for the Roses -- Lexington, Ky.
July 10-13: Nike Summer Showcase -- Elgin, Ill.
July 10-15: AAU U16 National Championships -- Orlando, Fla.
July 11-13: AAU Freshman Showcase -- Orlando, Fla.
July 13-16: Battle in the Boro -- Murfreesboro, Tenn.
July 14-15 : California Summer Games -- Hawthorne, Calif.
July 21-25: Basketball on the Bayou -- New Orleans, La. July 22-25: USJN Championships -- Washington, D.C.
July 22-25: Music City Madness -- Nashville, Tenn.
July 24-26: Peach State Summer Invitational -- Kennesaw, Ga.
July 27-29: Elite 24 Summer Jam --Augusta, Ga.
July 28-31: Nike Nationals -- North Augusta, S.C.
July 28-31: Fila Nationals -- Suwanee, Ga.
MTV has a series on called "When I was 17". If you don't know about it, here's what the show is about. MTV's 'When I Was 17' will show how artists' lives are different from the average viewers'... and how they are the same. In some cases, we'll hear about seventeen years olds struggling with the same challenges as their peers -- trying to figure out what their lives will hold at the end of high school. In many cases, we'll see driven young people who were already hard at work at 17 to make their dreams come true. 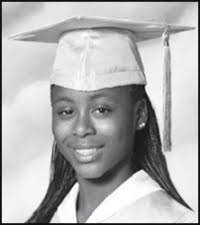 If you don't know who the young lady is in the picture above, it is singer, song writer, Keri Hilson. She played basketball for Tucker High School in Decatur Georgia. She will be featured in an upcoming When I was 17 segment. Today - you are a baller...Tomorrow - you are a singer, song writer, actress, lawyer, doctor, teacher, college coach....Skies the Limit--Keep Dreaming!!!! Just last week, Washington girls basketball coach Derek Hunter was celebrating his team's completion of an 11th year in the Educational/Cultural Experience, a program sponsored by the Women's Foundation for a Greater Memphis. 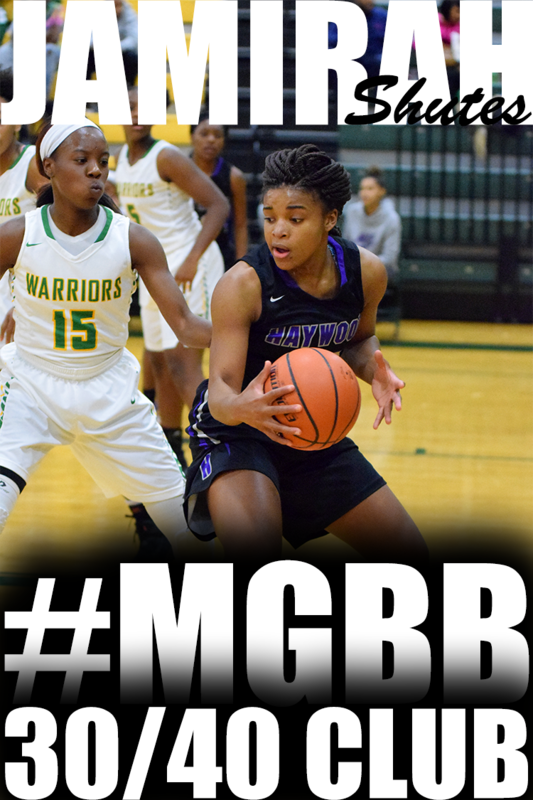 Hunter's joy, however, was turned to sorrow this week by the untimely death of recently graduated Washington girls basketball player Adrianne Cobb, 18, who was shot and killed outside a Downtown nightclub late Saturday. Police said Cobb, a standout student headed to Tennessee State, was an innocent bystander in the incident, which began when a fight inside the club spilled out onto the street. Police found Cobb face down in the middle of Monroe. She was taken to the Regional Medical Center at Memphis, where she was later pronounced dead. "She was always trying to do something for somebody else. She kept everybody laughing ... and was smiling all the time," Hunter said. "The nurse told me that (Cobb) was going to be a blessing to some other folks because she was an organ donor. Somebody else may be able to survive because of her." Services for Cobb will be Saturday morning at 9 at Progressive Missionary Baptist Church, with burial to follow in Forest Hill Cemetery in Midtown. The Melissa McFerrin Hoop School Team Camp will kick off this Friday, June 25th. 19 teams are scheduled to participate in the camp including Arlington, White Station,Africentric JV, HW Byers, Hernando, Brandon JV, St. Benedict, Overton, Covington, MHEA, Belmont, Sparks,Africentric, Millington, Memphis Elite 13s, Brandon V, Ridgeway, Clyde C Miller, and Memphis Elite - Wade. In the last Peach State Hoops 2012 ranking, Central's Danielle Ballard was ranked 13th and Aaliyah Whiteside was ranked 27th. Peach State Hoops updated their ranking on June 22, 2010 and now Danielle is ranked 14th and Aaliyah stays at 27th. Click here for the updated ranking. 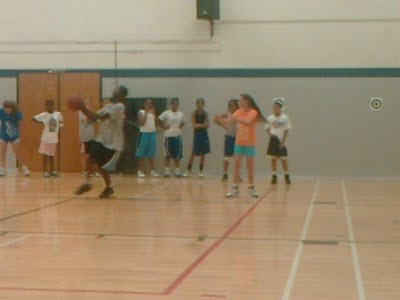 Here is another highlight from Melissa McFerrin's Hoop School High School Elite Camp. 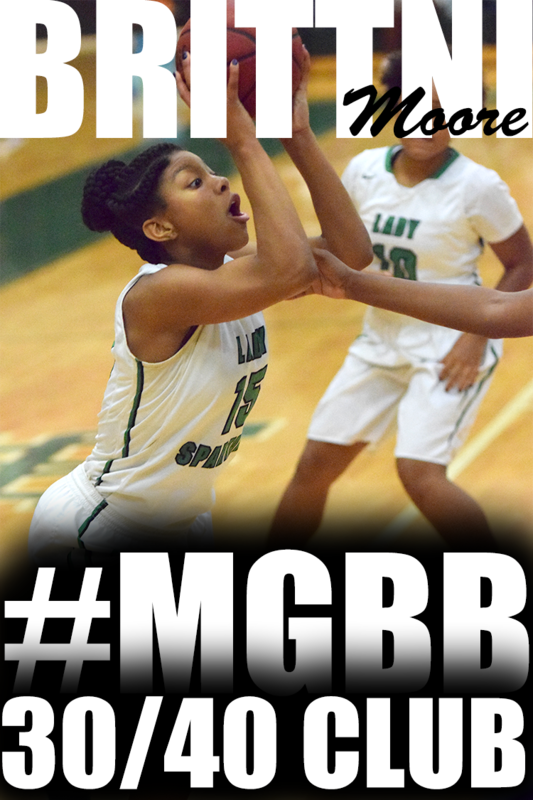 Rising junior Briana Neal (Overton) is really flying under the radar. 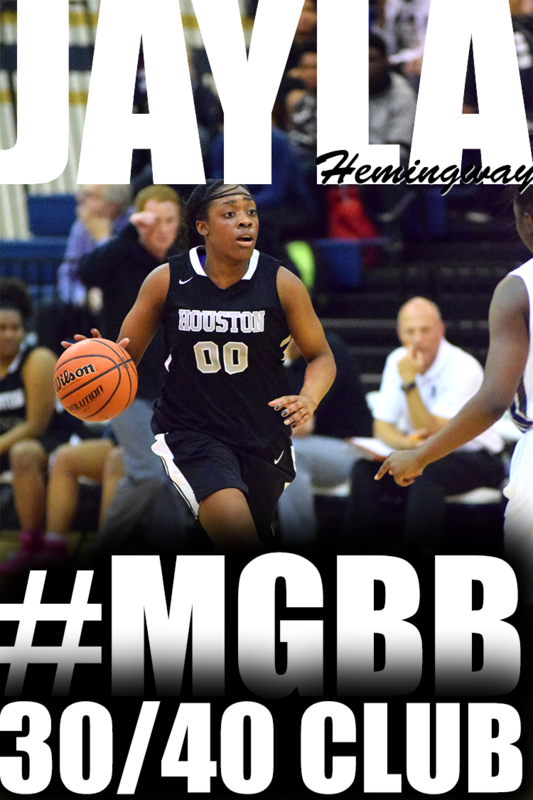 She is a ball of energy, a relentless rebounder and an effective pick and roller. 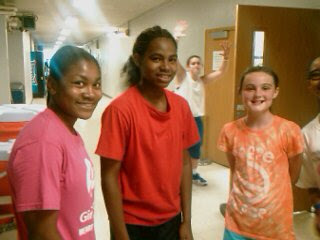 I've been keeping up with the USA Basketball Trials especially since a Memphian, Miss Danielle Ballard, was an invitee. It has been pretty interesting what I've been reading. 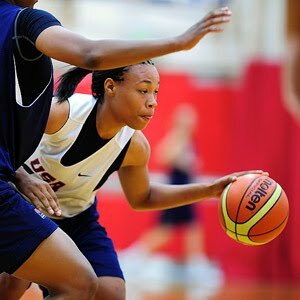 After Day 1 of the Trials, it seemed Danielle was making her mark early and demonstrating that she should represent the RED, WHITE & BLUE..
Ballard is a new face in the USA Basketball system and it would not have been surprising to see her be a little nervous in her opening session. Ballard was a standout in the drill work as well as the five on five play. Her ability to create dribble penetration and as a result offense for herself and others made the game easier for her teammates. With a couple more sessions like the first one, Ballard may make it difficult for them to leave her off this roster. Then I read ESPN HoopGurlz Kevin Powell's evaluation and it said the total opposite. In order to position yourself to make such a high-profile team, the one thing that you cannot be is passive. The Memphis native took that approach early and found herself in catch-up mode throughout the trials. The lefty penetrator has a lot of talent but was unwilling to unleash her full array until too late in the trials and then forced things. Blessed with good quickness and very crafty ballhandling ability, Ballard seemed to play it safe and become a station-to- station maneuver of the ball as opposed to a whirling playmaker. She takes good care of the basketball and rarely turns it over. But in this environment, playmaking ability to turnover ratio is the great gauge; And Ballard was reluctant to make enough plays. So now I am totally confused.. Did Danielle start out strong or start out slow??? Next up was ESPN Hoopgurlz Mark Lewis' evaluation and it was interesting how he summed the Trials up. Whether it's a political election, a beauty pageant or the trials for one of the USA Basketball teams, there's always going to be debate and discussion about whether or not "they got it right." This year's U17 and U18 trials weren't so much a competition for a spot on either team as they were an audition for the roles the selection committee was looking to fill. Players who struggled found their way onto a roster and athletes who stood out went home scratching their heads. There is one thing that I'm not confused about---I wasn't there---so I can't give you my opinion of the trial performances.. Also, I wasn't on the selection committee and neither were the people I quoted above (that I know of). Only the selection committee know what they were looking for. I'm interested to know what you think. Leave a Comment. Check out these highlights from the 3rd Annual Chris Paul Elite Guard Camp. There is so much emphasis placed on ball handling, individual moves, and intense defense! As a basketball trainer, watching this video gives me chills because I love to generate knew ideas to pass to the young ladies that I train.. I can't wait to hit the gym for Saturday's training session. In May, Peach State Hoop last released their 2011 ranking. 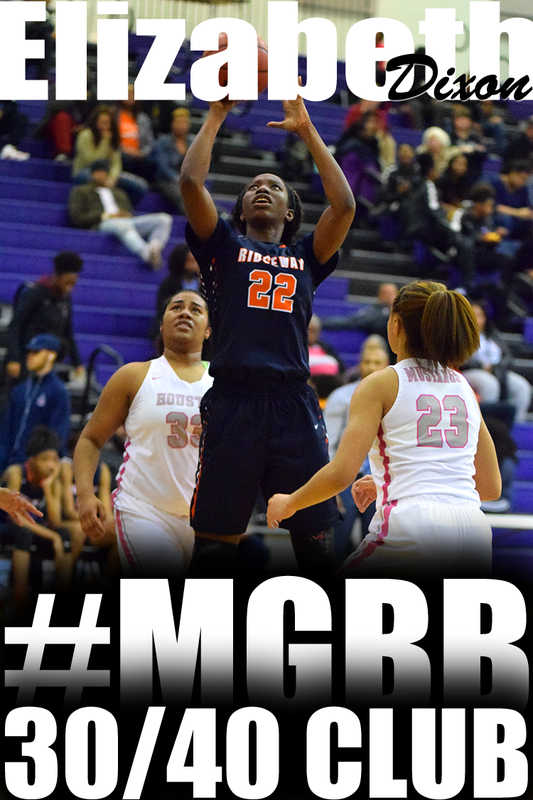 Ridgeway's Hasina Muhammad was ranked 59. On June 14th, the ranking was updated and Hasina moved up to 51st. University of Memphis Head Womens Basketball Coach, Melissa McFerrin held her annual Elite Middle School and High School Camps this past weekend. 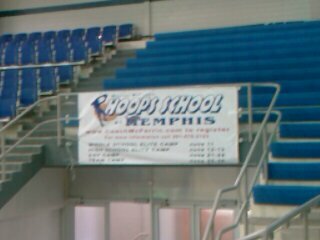 Over 120 participants took advantage of being on the University of Memphis campus, playing in the Elma Roane Fieldhouse and Larry O. Finch Center and learning new and advanced basketball skills and drills. 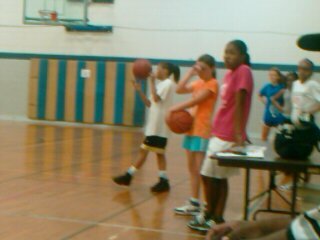 Their were some extremely talented young ladies in the gym this weekend both middle school and high school. Below are snapshots from the camp and a highlight video featuring Ridgeway's Hasina Muhammad and rising freshman Tia Wooten. Millington's Jasmine Newsome won the Commercial Appeal Pepsi Best of Preps Girls Basketball Player of the Year. Central's Danielle Ballard is currently trying out in Colorado Springs for the U17 World Championships Team and Central's Coach, Niki Bray is tweeting the activities. Danielle is impressing at the Trials. 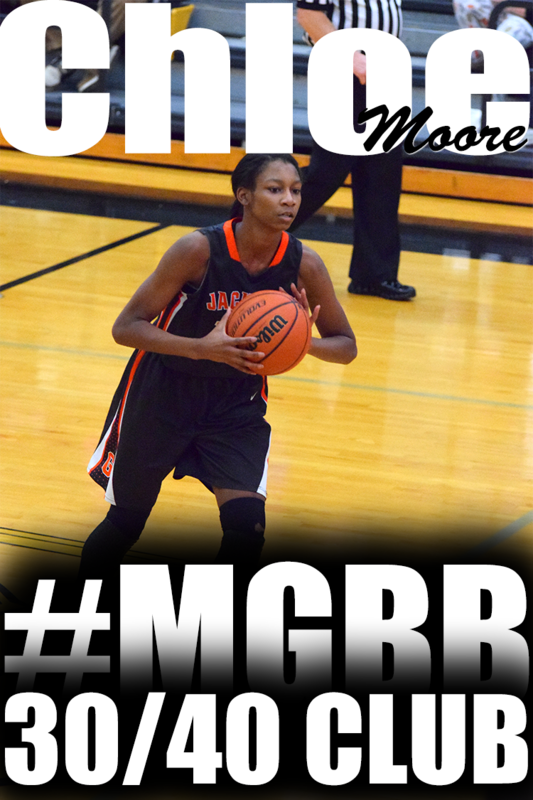 Here's what Keil Moore of Peach State Hoops said about Danielle's performance. Are You Passionate about Girls Basketball? ONE QUESTION: ARE YOU PASSIONATE ABOUT GIRLS BASKETBALL AS THE DRUMMER IN THE VIDEO IS ABOUT DRUMMING? YOU GOT TO SEE THIS - PRESS PLAY ON THE VIDEO!!!!!!!!!!!!!!!!!! The Commercial Appeal's Pepsi Best of the Preps Awards show is scheduled for 7 p.m. Friday at the Germantown Performing Arts Centre. All athletes earning All-Metro honors are invited to the free show, but only the finalists will be recognized at the BOP awards show. Awards will be handed out in golf, cross country, soccer, basketball, tennis, volleyball, football, wrestling, bowling, track and field, baseball, softball, lacrosse and swimming, as well as awards for athletes of the year and scholar-athletes of the year. I attended the Think Pink Memorial Tournament on Saturday. The Think Pink Tournament is hosted by the Lady Tarheels organization. It was started to celebrate the Lady Tarheel's founder Rachel Dorsey's sister, Stephnie Dorsey, who she lost to breast cancer. In the high school division, the Idlewild Fury and Mississippi Fire game was a great matchup and showcased some talented players. The game needed overtime to determine the winner and Idlewild came out victorious by 4 with a score of 51-47. 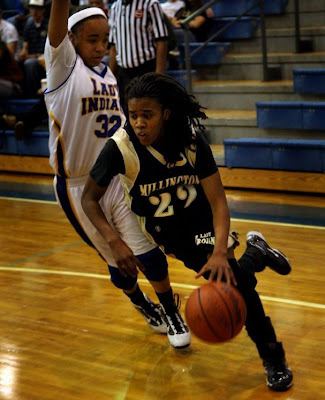 Idlewild's Rising junior, Jamille Reed (Manassas), lead their scorers with 17 points and 10 rebounds. This 5'9 G/F was unstoppable. She has a nose for where the basketball will be whether it's anticipating a pass or grabbing a rebound. Defense was unable to stop her on the post. 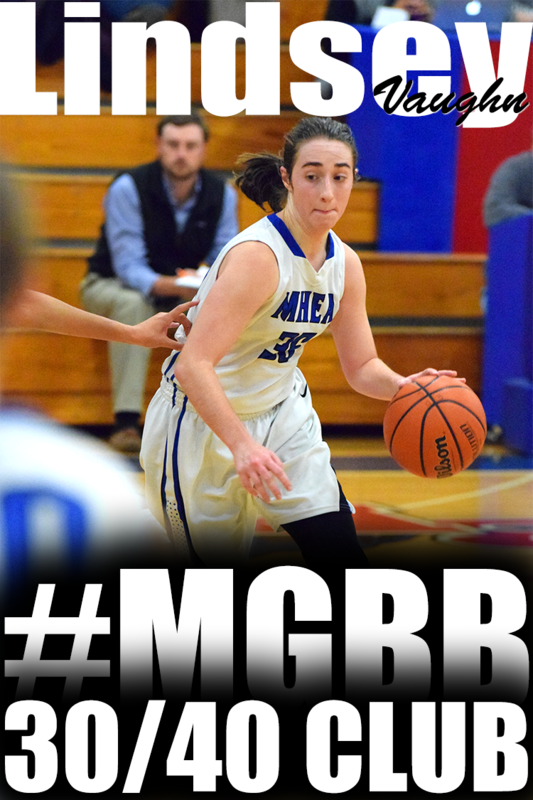 Her agility and spin move allowed her to get to the basket and get buckets over and over and over again. 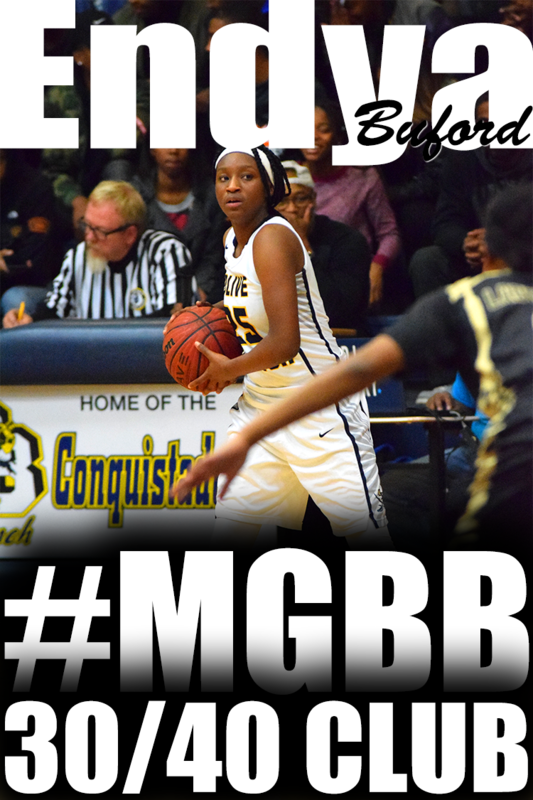 Second in scoring was rising sophomore, Candice Davis (Craigmont), with 9 points. 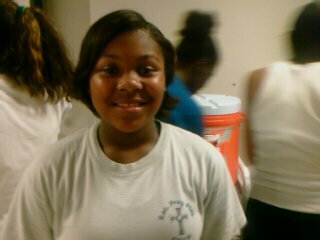 She is a 5'3 combo guard who can set up teammates but is best at getting set up and dropping jump shots. Mississippi Fire has some talent on their squad. At 5'11 rising junior Corbin Divinity finished with 17 points. If her muscular body build does not impress you, her vertical will. She just explodes off the floor. Her outside shot could use tweeking but at the free throw line she's on point making 7 out of 9. 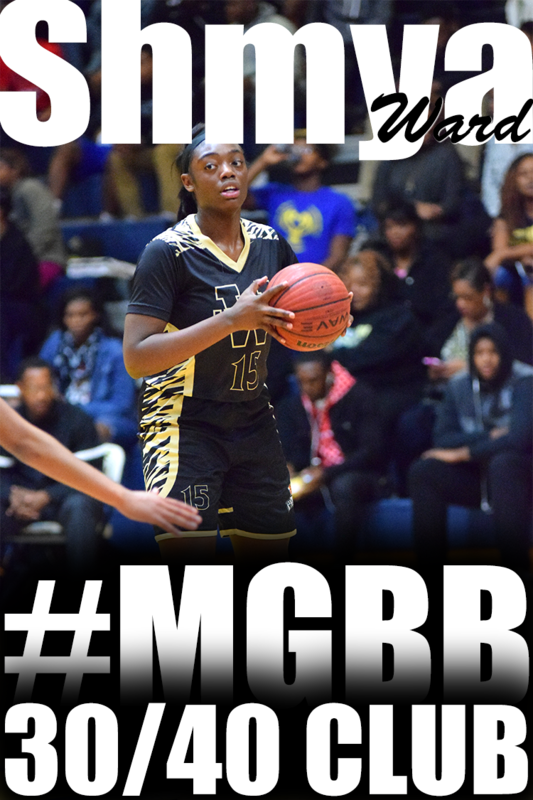 A name you will definitely hear about out of Mississippi is rising 9th grader, Kybria Keys. She currently stands at 5'11 and uses her height and skills to rebound grabbing 9 during the game. 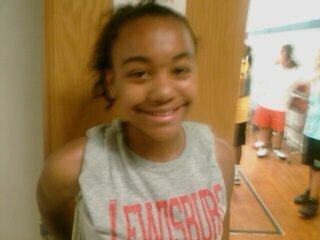 Rising 11th grader Symantha Banks is a 3 point shooter but don't be fooled she can explode to the rim. Where will Memphis Players be in June? June is a month of college team, elite, fundamental camps and leagues. I already posted about the Trezevant Summer League beginning next Monday, June 7. Once players are finished with their high school coaches, most will regroup with there summer teams and get back on the road to college campuses. Here's a tentative schedule of where some of our local squads will be heading as teams or as individuals. Every once in a while you will encounter a bad game or a bad day. It just seems like nothing will go your way. Contrary to popular belief you can still look good during a bad game or day. Since the July evaluation period is almost here. It is the perfect time to help you get prepared to showcase your skills to the college coaches and scouts you will be playing in front of. 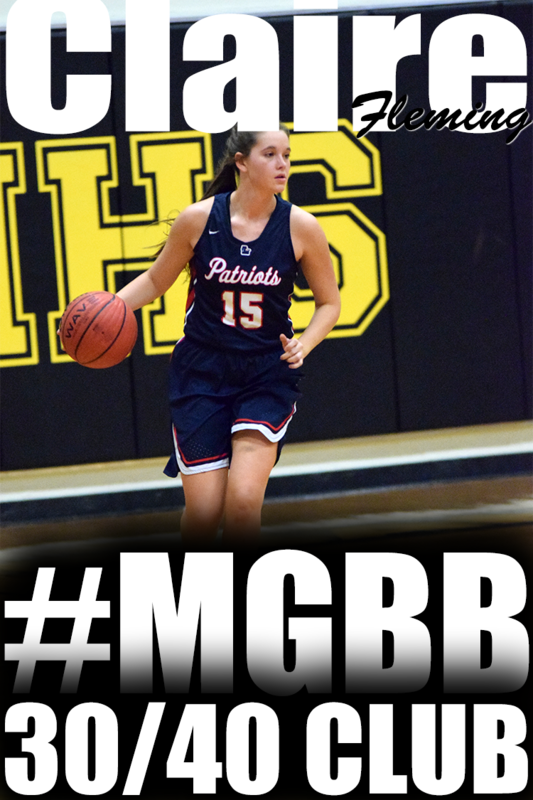 None other than former college coach, ESPN Hoopgurlz's Mark Lewis breaks down 8 ways to make the best out of a bad offensive game. Show them that you can still defend. Show them that you can always rebound. Show them that you won't overreact. Show them you can learn over the course of the game. Show them that you have reading and math skills. Show them that you understand time and clock management. Show them that you've got focus and the right attitude. Show them that you can communicate on the floor. Can you say, In the Right Place, At the Right Time. After one season as an assistant coach at Christian Brothers University, Sarah Condra, has been elevated to the Head Coach. If she looks familiar, Coach Condra coached at White Station for three years and coached at Brighton High School for two years. 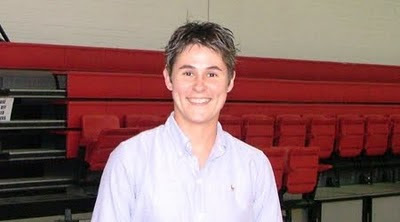 In late May, the Christian Brothers University athletics department announced the hiring of the school’s all-time leading scorer, Sarah Condra, as the eighth women’s basketball coach in school history. After spending last season as an assistant coach at CBU, Condra replaces Scott Groninger, who resigned last month to take a similar position at West Georgia. After enrolling at CBU as a walk-on, Condra rewrote the school and Gulf South Conference record books, scoring 1,506 points as she made 367 career three-pointers, making 38.6 percent for her career. She was the leading scorer on the 2003-04 GSC West Champion Lady Bucs, leading them to a 23-7 record and the school’s only NCAA South Regional appearance. School is out! Summer is almost here. And it is the perfect time to get prepared for the fall/winter basketball season. Don't wait til August and decide to get in the gym to work on your skills. Do it now. I have created a summer work out program for those that's ready to work on making the team next season or becoming a starter. The Summer Workout Program consist of 4 workouts to help you progress and build skills for the upcoming fall/winter season. 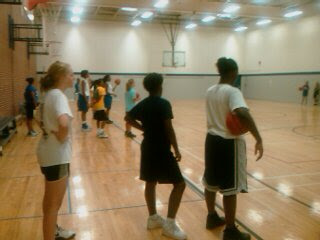 The workouts are broken down into areas of agility, shooting, passing, dribbling and ball handling. The workouts build off the previous one. This is a great program for beginner to intermediate players to add fundamental skills. One team had three players honored: Memphis Central (Memphis, Tenn.). 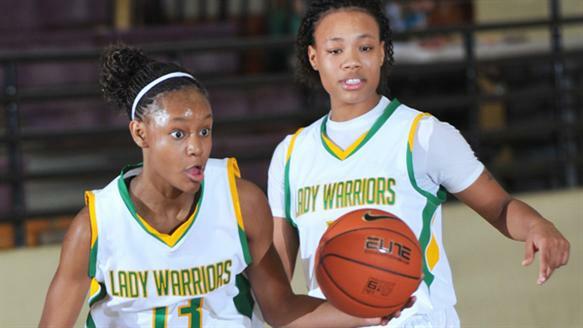 Not surprisingly, the Lady Warriors figure to join Mater Dei, Bolingbrook and Norcross as highly ranked preseason FAB 50 clubs for 2010-11. 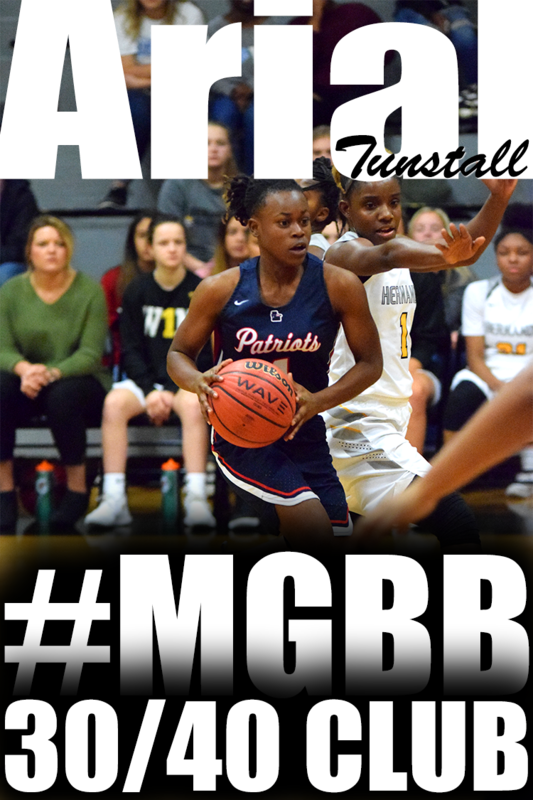 Sophomores Danielle Ballard and Aaliyah Whiteside were both Tennessee Sports Writers Association All-State picks, as was the team's leading scorer, freshman guard Nina Davis. The All-American selection is comprised of 30 juniors, 20 sophomores and 10 freshman. 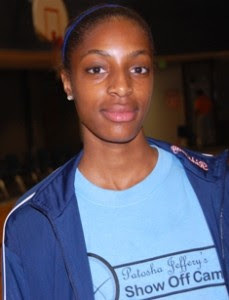 ESPN Hoopgurlz released their Class of 2012 Terrific 25 ranking and Central's Danielle Ballard is ranked 12th on the list. 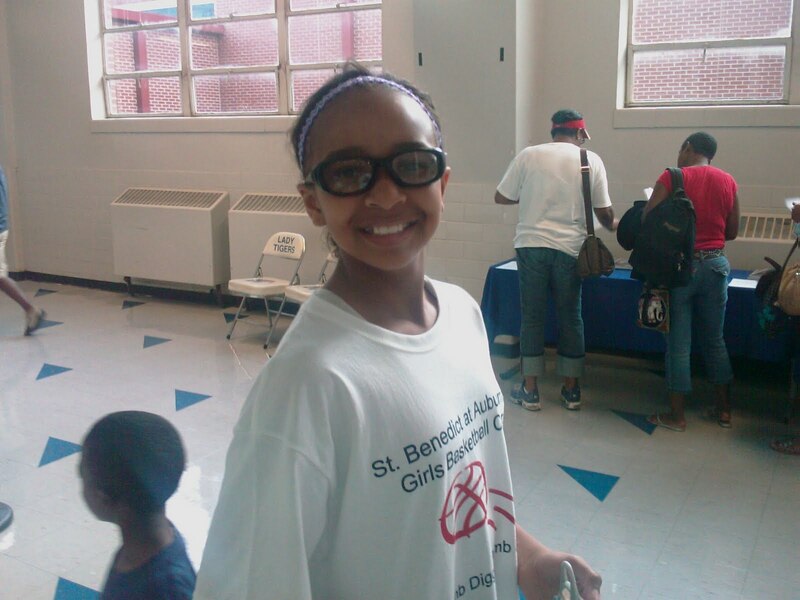 Danielle's latest Hoopgurlz evaluation was from the Deep South Classic during the Spring period. 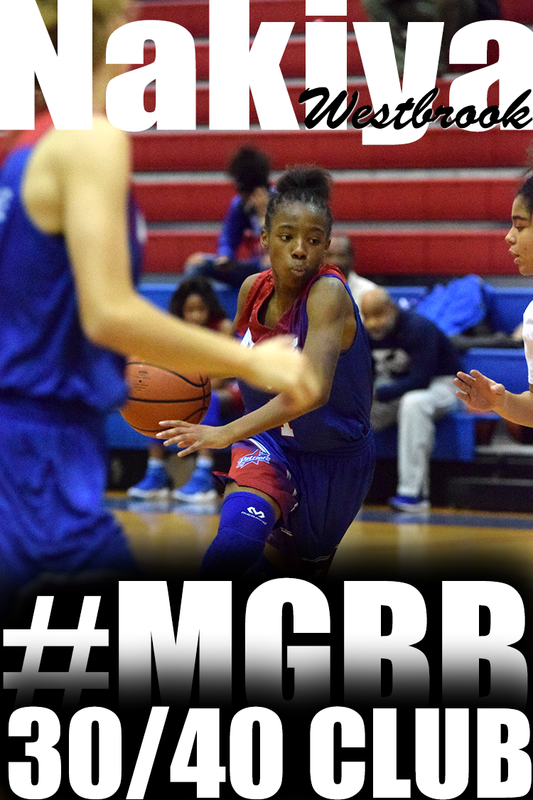 Deep South Classic-April 10: Smooth lefty, with a a beautiful release on her jump shot. Very polished plays effortlessly. Excellent defender with active hands.